The Pig'n'Porter Festival, the world's largest Tag festival, runs from Friday 14th to Sunday 16th July 2017 in Old Crescent RFC, Limerick. 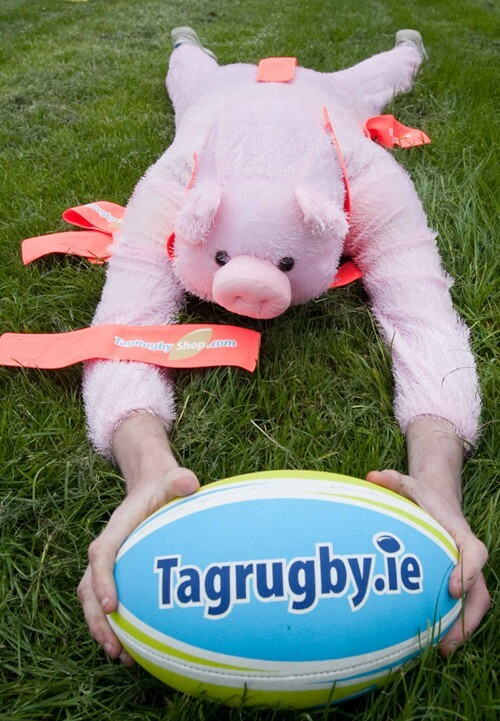 The Tag Competitions will take place on Saturday 15th July, in Old Crescent RFC and on the "10 acres" in the University of Limerick" sandwiched on either side by the Pig'n'Porter's renowned social events! 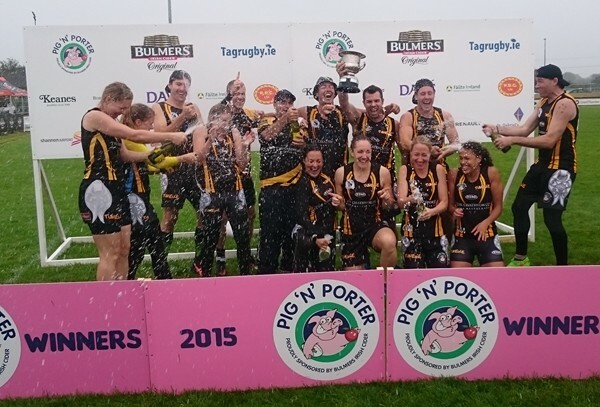 With pigs roasting on spits, drinks flowing and exciting Premiership and Social Tag action, the Pig'n'Porter is without doubt one of the highlights of the Irish Tag season - make sure you don't miss it! You can register as a Team (up to 15 squad players) or as an Individual by clicking on the relevant links below. Teams can choose to register for either the Premiership (Elite Grade, 8-a-side) or Social (Open Grade, 7-a-side) Tag competitions. The Premiership competition will be played on the grass pitches in Old Crescent Rugby Club, while the Social competition will take place in both the Rugby Club and the University of Limerick. Venues are assigned on a First-Come-First-Served basis, so if you have a preference for which venue you want to play in, please register as early as possible! 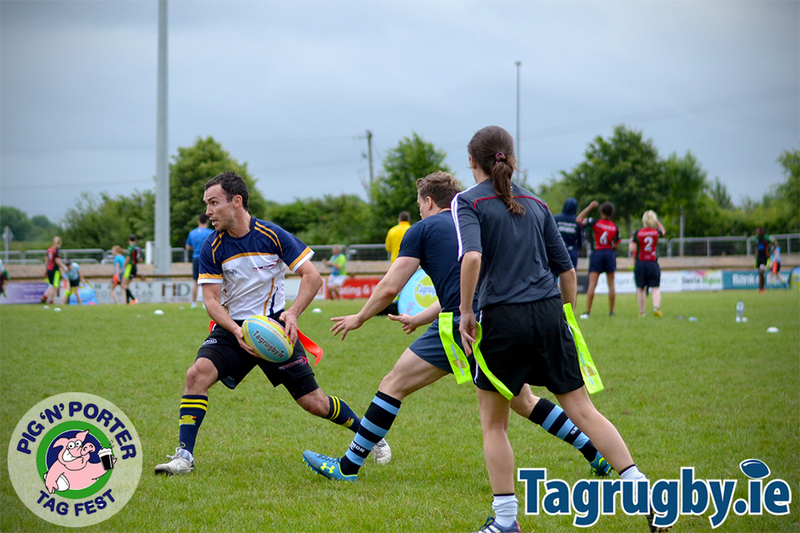 All competitions are played with mixed teams of guys and girls, with a maximum of 4 guys from each team allowed on the pitch at any one time. 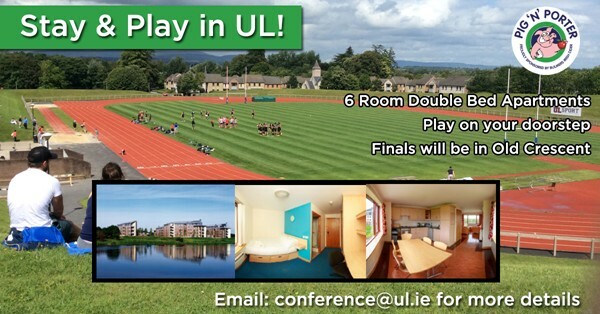 STAY & PLAY in UL!